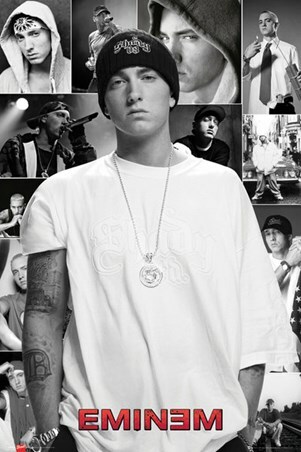 Celebrity Maxi Poster: With one of the most recognisable faces in the world, Eminem is known not only for his fierce stage presence but also for his impacting lyrics. 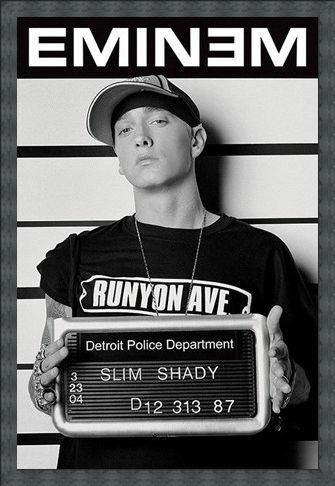 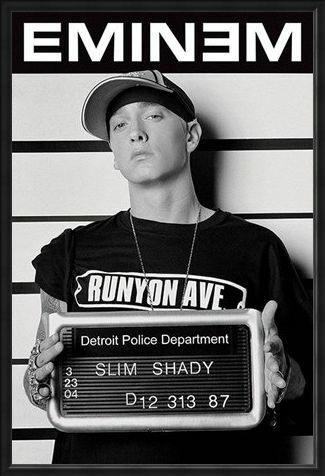 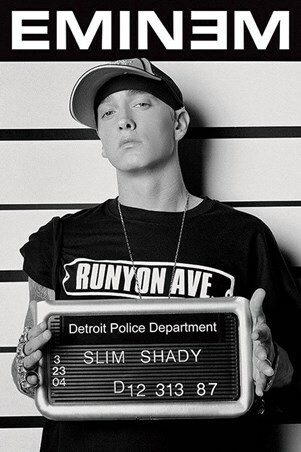 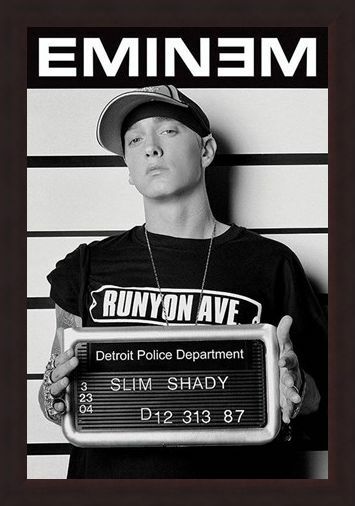 This monochrome mug shot poster shows the rapper as he stands sullen faced for the Detroit Police Department. 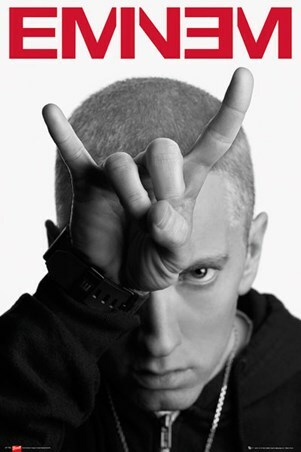 With one of his many names across the top, Eminem (also known as Slim Shady and Marshall Mathers) shows off his tattooed arms and gold dusted fingers in this nonchalant pose. High quality, framed Slim Shady Mugshot, Eminem poster with a bespoke frame by our custom framing service.